The Lynchburg Hillcats (29-26) and Winston-Salem Dash (22-32) split the first two games of the four-game weekend series tonight. The Lynchburg Hillcats (22-24) took the finale at Pfitzner Stadium 6-4 against the Potomac Nationals (24-21) tonight. 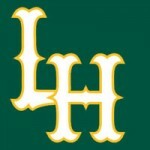 The Lynchburg Hillcats (21-24) split a pair of 3-2 finals on the road against the Potomac Naitonals (24-20) tonight. Will Skinner went 4-for-6 for the ‘Cats, with a pair of hits in both ends of the twin bill, driving in a run and scoring one as well in the 3-2 win in game two. The Lynchburg Hillcats (20-23) split a pair of finals with the Potomac Nationals (23-19) tonight, falling 6-5 in the completion of a suspended game from April 28, and winning the second game 10-1. 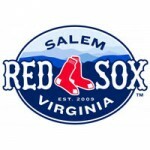 The Salem Red Sox tied a franchise record with four triples and overcame multiple deficits to surpass the Hillcats 8-5 on Thursday night at LewisGale Field. Greg Ross struck out six and only allowed two bunt singles in five shutout innings to claim a victory in his first start of the season and earn a split for the Lynchburg Hillcats in a doubleheader against Wilmington at Calvin Falwell Field Wednesday night. After going four games without an RBI between the two of them, Kevin Ahrens and Josh Elander combined for seven RBIs in the Lynchburg Hillcats 10-7 win over the Potomac Nationals. Will Skinner’s solo home run in the second inning marked the first time all season the Lynchburg Hillcats scored first in a contest, but the lead did not last long as Frederick posted six-straight runs in response to take the series finale, 6-2.